A Beautiful ceramic snowman face mug. 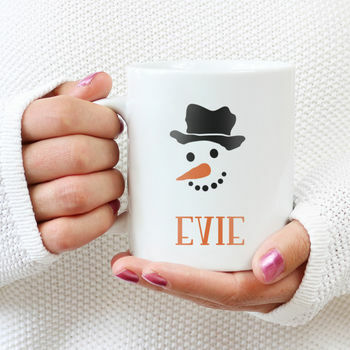 Make Christmas extra magical with this personalised snowman face mug. 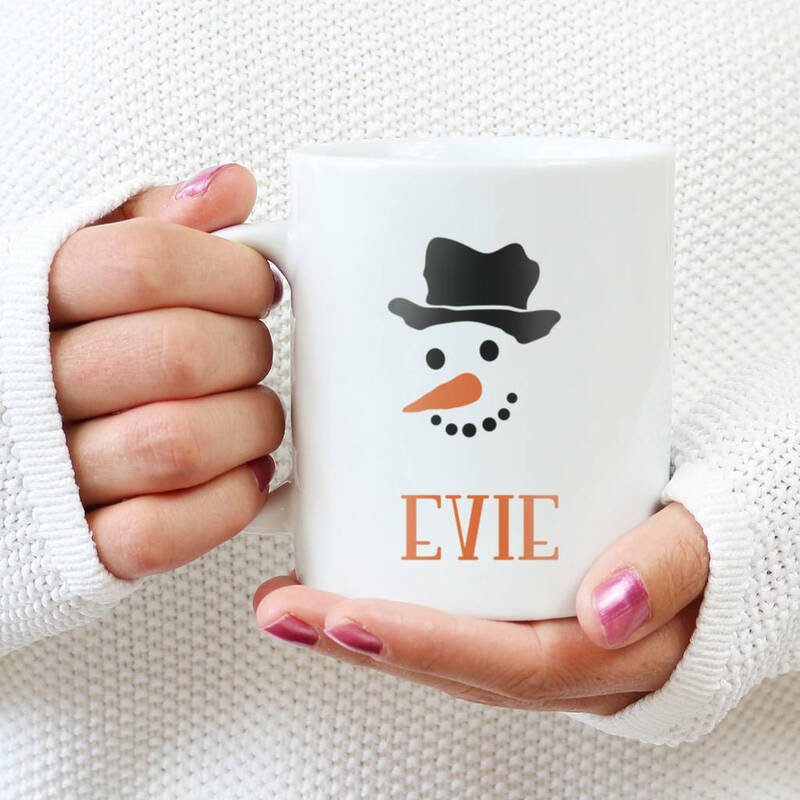 This Christmas mug is perfect for all ages and personalised with the name of your choice. Printed with care, wrapped in tissue paper and packed in a gift box.